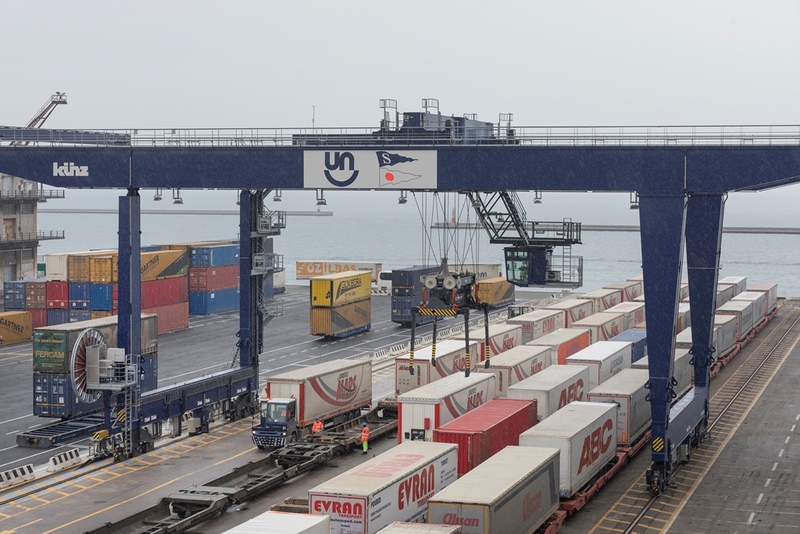 With the recent acquisition of Turkish company UN Ro-Ro, DFDS is now in a position to offer a fast intermodal connection from Gothenburg in Sweden to Trieste in Italy, Patras in Greece and Pendik, Ambarli and Mersin in Turkey. By connecting the existing DFDS network in northern Europe with the new routes in southern Europe and the Mediterranean Sea, DFDS is capable of offering transportation of cargo from North to South and back. All routes and terminals in this connection are in DFDS ownership and control. Through this set-up, DFDS ensures operational alignment, reducing the lead time compared to alternative solutions with at least 1 day. The new intermodal connection offers shipping transportation on the Gothenburg – Ghent and Trieste – Pendik/Ambarli/Mersin routes. There will also be a stopover in Patras, Greece. DFDS will use Bettembourg in Luxembourg as the continental hub for the intermodal connection and has a solid cooperation over railways with CFL. Trailers are shunted from Bettembourg to Ghent over road, a second option via rail is being developed. The Sweden – Turkey intermodal connection is effective, and the first customers have already benefitted from the fast, new service.